We got another new feature, thanks to Grandmaster Keith Smith of Midwest School of the Midwest School of Isshinryu. 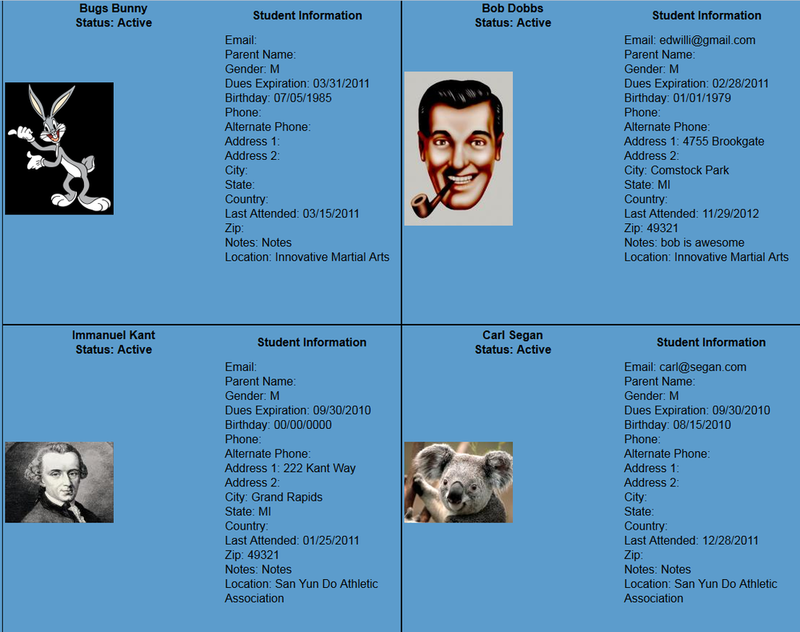 Now there's a convenient way to print reference cards for your active students. Simple navigate to the students tab and click the "Student Information Cards" link near the top of the page.